This very popular offering from Samsung comes with a price tag of approximately Rs.17, 000. This 7” LCD touch screen tablet runs on Android KitKat and offers a great number of apps. It has 8GB of internal storage expandable up to 32GB using the microSD card slot. It sports a 3MP rear and 1.3MP front camera. The 1.2 GHz Quad Core processor coupled with 1.5GB RAM ensures a good multi tasking experience for the user. The tablet is Wi-Fi and 3G enabled. It is capable of voice calling. If you compare the tablet prices in India there are not many models that match-up to the performance of this tab and provide value for money. This tablet comes with a price tag of about Rs. 18, 000. It sports a full HD 8” IPS display with 1920x1200p resolution. It has been named ‘Yoga’ for a reason; it has a kickstand that allows the user to use the tablet in four different ways-hold, tilt, stand, or hang. It has an Intel Atom Z3745 Quad Core Processor that clocks a speed of 1.86 GHz. The 2GB of RAM ensures no lag during app switching. Running on the Android KitKat, the UI of the tablet is noteworthy. The tab is Wi-Fi and 4G enabled which is a step ahead of most other tablets. It has an 8MP rear and 1.6Mp front camera. It has 16GB of ROM, expandable up to 64GB. Not quite unlike its Smartphone counterpart, the Mi Pad has gained immense popularity among affordable tech lovers. Priced at Rs. 12, 000 (approximately), the 7.9” tablet has 16Gb of internal memory and can be expanded up to 128GB. It is powered by the 2.2 GHz NVIDIA Tegra K1 ARM Cortex-A15 Quad Core processor with 2GB of RAM. It sports an 8 MP rear and 5MP front camera. You may indulge in an endless number of apps from the Play Store as it runs on Android KitKat and has a 6700 mAh Lithium – Ion Polymer battery. It has Wi-Fi and Bluetooth for connectivity. The Voice 7 has a price tag of about Rs.9, 000. It is a 7” tab that runs on Android KitKat. Its tech specs include 1.3 GHz MT8382 ARM Cortex A7 Quad Core Processor and 1GB of RAM. It has 8GB of internal storage and 32GB of external expandable storage. It is Wi-Fi and 3G enabled with voice calling feature. It sports a 3000 Lithium – Polymer battery with 4hrs of video playing time. The tab operates on Windows 8 and is priced at around Rs. 9, 000. The 8” tablet has a 2MP rear camera with secondary camera support. It is powered by the Intel Atom Z2760 processor and has 2GB of RAM. It is Wi-Fi and Bluetooth enabled with 3G support via a dongle. With a wide range of tablets that befits every need and every pocket, it is no wonder that everyone now owns a tablet. 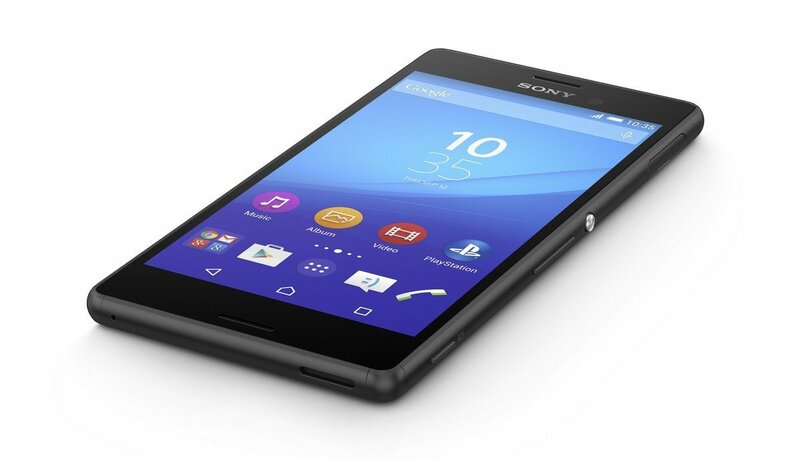 Sony introduced the Xperia M4 Aqua back in March and promised the smartphone will go on sale sometime in June. Last month we reported the smartphone is available for purchase, but only on carrier contracts. However, beginning this week, Sony Xperia M4 Aqua is available for purchase worldwide through multiple major retailers. The pricing options depend on the region, so there's a chance that you can get the Xperia M4 Aqua cheaper if you live in the right region. Speaking of which, the smartphone is now available for purchase in the United States via Amazon for $400 (€360 / £260) outright. On the other hands, customers in the UK can grab the Xperia M4 Aqua for £230 (€315 / $350). European customers can also order the Xperia M4 Aqua for around €280 (£205 / $310) via Amazon Germany. In India, Sony Xperia M4 Aqua Dual is available for $390 (£255 / €350) off contract. Obviously, customers will be able to grab the Xperia M4 Aqua for much less if they are willing to sign up for a new 2-year agreement with their favorite carrier. Sony Xperia M4 Aqua is a rugged smartphone that features IP68 certification, which makes it dust and water proof up to 1.5 meter and 30 minutes. The smartphone ships with Android 5.0 Lollipop right out of the box and sports a 5-inch capacitive touchscreen display that supports HD (720p) resolution. When it comes to hardware, the Xperia M4 Aqua doesn't disappoint. The smartphone is equipped with a 1.5GHz octa-core Qualcomm Snapdragon 615 processor, 2GB of RAM and 8GB of internal memory, which can be further expanded up to 32GB via microSD card slot. Other highlights of the phone include 13-megapixel camera on the back with autofocus, LED flash and full HD (1080p) video recording, as well as 5-megapixel camera in the front for video calls and selfies. 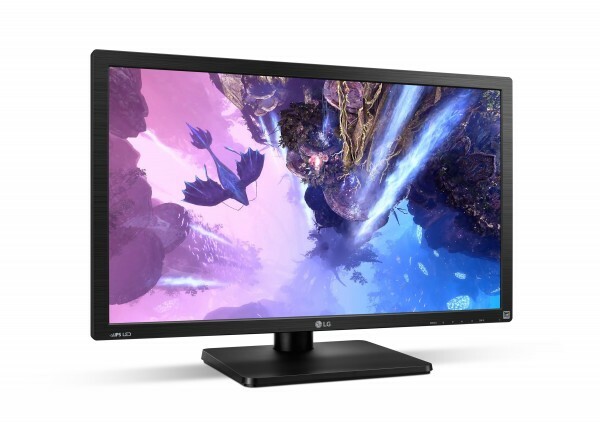 LG will be the first to sell a 4K monitor with AMD FreeSync technology, beating models from rival Samsung by a nose. The technology in its 27-inch 27MU67 is similar to NVIDIA's G-Sync, matching monitor and GPU refresh rates to eliminate tearing, stutter and other gaming issues -- as long as you have a compatible AMD graphics card or chip. Like Samsung, LG makes its own panels and it shows in the specs. The IPS screen can run at 40 to 60fps with 9.7 milliseconds of input lag, while being decent for color pros with a 99 percent Adobe gamut and 10-bit interpolated color. It'll come calibrated out of the box later this month at select retailers for $599 -- quite a drop in price from last year. In the times when everyone really has become quite dependent on the web having a Smartphone has become the need of the hour. You will hardly find someone who doesn’t carry a Smartphone. But still, some elderly people in countries like India might be beginners and for them certain terms like Smartphone, paytm recharge coupons, 3G, 4G and many other terms sound Greek. But now it’s time they become part of this revolution. This is because, if they do not pace, they will be left alone in the race. Life is fast moving and everyone will have to be part of the bandwagon. If you have not bought a Smartphone yet and wish to try one, then here are some budget phone options for you. Here’s an amazing Smartphone for those who wish to start afresh. It is a medium sized 5-inch phone. But it comes with the amazing camera quality. For those looking to cherish and collect the memories within the phone, the good camera really matters the most. Here’s the one apt for you. If you have your relatives outside the state or country and you wish to have a perfect networking option so as to stay connected then you should have a 4G phone. Motorola Moto G is a good Smartphone with 4G and it is 5inch in size. It also has a very good camera quality as well as decent audio quality. If a long battery life matters a lot for you then you should settle down for this particular phone. Even though it is bit small in size say 4.5 inch display, it has a very good battery life. Yes, even this phone has 4G data connection facility. This amazing phone has a display of 5.5 inches and serves you with a long battery life. Also, it has a very good camera quality. The above Smartphone are just a few examples. In reality, you will have a lot of options when you are actually buying the phone. Just log on to the web and surf for the best online website that sells Smartphone. There are many comparison sites too which can help you compare the prices and features. First list down the features you have in mind and as soon as you find the best option, settle down for the same. Are cheap and budget phones good? The technically astute people at PC Advisor recently published an article titled 15 best smartwatches 2015 UK: The best wearable tech you can buy right now. They are certainly to be commended, not only for their commitment to providing useful, objective technical information and analyses, but also for their subtlety in acknowledging that the product type is in its infancy, and offers more in the way of future promise than present utility. Particularly amusing is their comparison of the smart watch of today to the wristwatch of the late 1800s. When wristwatches were first invented, they saved gentlemen from having to dig into their pockets to determine what time it was. Similarly, the smart watch shows the time, but also saves the modern gentleman or lady from the inconvenience of having to rummage around in pocket, purse, or satchel and hoist a quarter-pound slab up to within their field of vision to see who is calling or texting, or what they had wanted to remind themselves about. Of course, if the watch is telling you that you have an incoming call, you will then need to rummage around in pocket, purse, or satchel and hoist a quarter-pound slab up to answer the call, hopefully before the calling party hangs up or their call goes to voicemail. Since websites such as PC Advisor have done such a fine job of reviewing the smartwatches available to them, to the notable exception of the Apple Watch, which was released after the review was published (but is reviewed elsewhere), we won’t be going into the dazzle, functionality, or features currently available. Instead, let’s have a look at the things that are absent from today’s smart watches, but that many potential buyers would love to see. I want my smart watch to be more than a smartphone accessory – For all their wondrous capabilities, smart watches of today are really little more than external displays and rather cumbersome input devices for smartphones. Forget to bring your smartphone along, and your smart watch becomes significantly less smart. Perhaps smart watches might one day be fully-functional standalone devices, capable of making calls, scheduling reminders, and exchanging text and graphical information with others, all without the inconvenience of reaching into that pocket, purse, or satchel. Imagine being able to walk down the street or sit at your table at dinner, and be able to check the Tokyo Exchange and text with your workmates. How much more convenient it would be to be able to ignore your dinner date without having to drag that smartphone out and leave it on the table, a veritable invitation to theft. 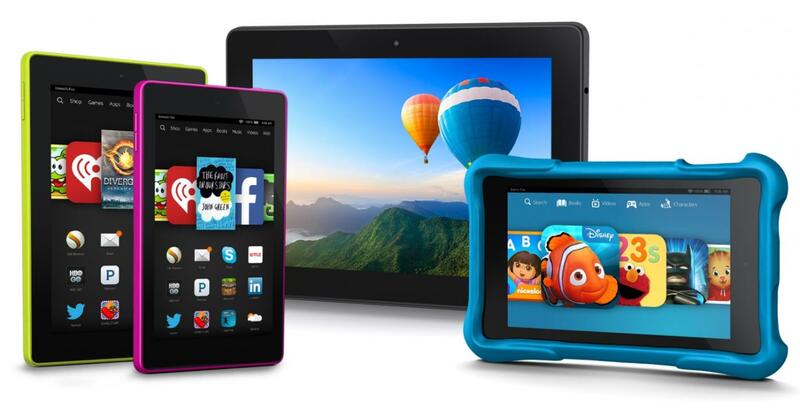 Amazon.com Inc. has struggled to draw customers to its pricier tablets. So it’s going further down-market. The Seattle online retailer plans to release a $50 tablet with a 6-inch screen, in time for this year’s holidays, according to people familiar with the matter. That would make it one of the least-expensive tablets on the market and half the price of the company’s current Fire HD 6-inch tablet. The move would potentially attract buyers looking for a simple—and effectively disposable—device for straightforward tasks like streaming video at home and shopping on Amazon.com. But such inexpensive tablets typically come with compromises like inferior screen quality, durability or battery life in comparison to more expensive tablets like Amazon’s larger Fire tablets and industry-leading devices like Apple Inc. ’s iPad. For instance, the $50 device will have a mono speaker, rather than stereo, one of the people said. The $50 device is part of a slate Amazon is planning to release this year that will also include tablets with 8-inch and 10-inch screens, according to the people familiar. NEW YORK—In addition to the Surface Pro 4, Microsoft has unveiled another brand-new PC today. The Microsoft Surface Book is Microsoft's first-ever convertible laptop, and it looks like it's aimed at people who are intrigued by the Surface Pro 4 but aren't interested in a tablet. The laptop has a 13.5-inch, 3000×2000 PixelSense touchscreen with 6 million pixels, and it includes an Intel Skylake processor and a dedicated Nvidia GeForce GPU with GDDR5 memory. It also has PCI Express-connected solid-state storage. Microsoft claims it's the "fastest 13-inch laptop anywhere on any planet," a statement that we don't have the means to confirm, and that it's "two times more powerful" than the 13-inch MacBook Pro. The Surface Book's screen detaches from the base to function as a standalone tablet, and like the Surface Pro 4, it works with a Surface Pen that can be docked magnetically along the top of the screen. The dedicated GPU is in the base of the Book, and it will switch to the Skylake integrated GPU when the screen is detached—if you want all of the GPU power, you'll have to have the laptop docked. If you want that GPU power in a form factor that's still relatively tablet-y, Microsoft has equipped the Surface Book with a "dynamic fulcrum hinge" that bends at multiple points. The hinge lets you flip the screen a full 360 degrees to lie flat against the bottom, though unfortunately it won't let the laptop fully close when in clamshell mode. The base of the laptop includes a backlit keyboard with 1.6mm key travel and a glass trackpad with 5-point multitouch, and there are two USB 3.0 ports and a full-size SD card slot. Microsoft claims the Book has 12-hour battery life. 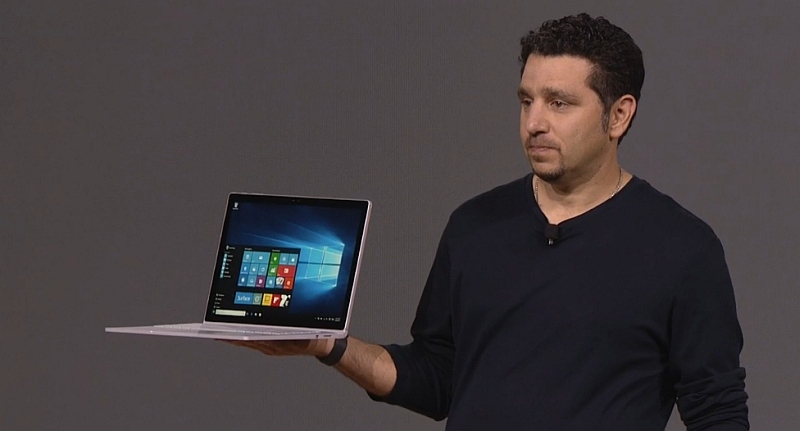 The Surface Book starts at $1,499 and is available for pre-order today. It will start shipping on October 26. UK and European pricing isn't yet known. We'll find out more information about the exact specs of that model (and any higher-end models) as soon as we can. Google and LG may have landed with the Nexus and Nexus 5X 6P a surprise hit – the reviews in tech magazines are almost entirely thrilled. So also the test of our colleague Nicole Lee of Engadget US: For only $ 380 (for the 16 GB version), she writes, you get a surprisingly good phone for outstanding price / performance ratio. You verdict: 88 out of 100 points. Speak for the cell phone be more favorable price, the fast and accurate fingerprint scanner, the fantastic Android 6 “marshmallow” and the – irrelevant in Germany – compatible with Google Fi network. Poor are only the mediocre battery life and the lack of a microSD card slot. The display is good, the camera ok.
Lisa Gade reviews Microsoft’s first laptop, the Surface Book. Like Surface Pro 4, it’s also a tablet, but it’s designed to be a laptop first, with a traditional laptop feel and design. The 13.5” Surface Book has a striking 3000 x 2000 PixelSense display that supports both touch and pen via the included N-Trig pen with eraser. The “clipboard” as Microsoft calls it, or tablet section separates from the fulcrum hinge for solo use. There’s a battery in the tablet and another in the keyboard base, and that base also houses the optional custom NVIDIA dedicated GPU. The Surface Book’s casing is magnesium alloy and it weighs 3.48 lbs. (1.6 lbs for tablet only). It has a backlit keyboard, dual band WiFi 802.11ac, Bluetooth, a rear 8MP camera and a front 5MP that works with Windows Hello facial recognition. It’s available with dual core, 6th generation Skylake 15 watt Ultrabook CPUs and 8 or 16 gigs of RAM. It uses fast PCIe SSD drives (128, 256, 512 gig and 1TB capacities available). It’s a classy machine and an expensive one that sells for $1,500 to $3,000 depending on configuration. We look at the $2,100 model with Core i7-6600U 2.6 GHz CPU, 8 gigs of RAM, a 256 gig SSD and NVIDIA graphics. Lisa Gade reviews the Microsoft Surface Pro 4, the tablet that can also be a laptop. The Surface Pro 4 weighs 1.73 lbs. and is 0.33 inches thick. It’s cooler and quieter than previous generations thanks to a new cooling design, and it has a slightly larger display (12.3”) while maintaining the same footprint as Surface Pro 3 (12”). The tablet runs Windows 10 Pro on Intel 6th generation Skylake CPUs, with your choice of Core m3, Core i5 and Core i7 processors with Intel integrated graphics. The Core m model has a fanless design. The Surface Pro 4 is available with 4, 8 or 16 gigs of RAM and 128, 256, 512 gig and 1 TB PCIe SSDs. It has a 2736 x 1824 IPS PixelSense display with a 3:2 aspect ratio. It supports touch and the included N-Trig digital pen with eraser, and the updated digitizer has 1024 levels of pressure sensitivity. Dual band Marvel Avastar WiFi 802.11ac, Bluetooth, a front 5MP camera that supports Windows Hello facial recognition and a rear 8MP camera are standard on all models. We review it with the Surface ProType Cover 4 and the optional $199 Surface Dock. We use the Core i5-6300U model and the Core m3-6Y30 in the review, and compare their performance. The Surface Pro 4 starts at $899 and the Type Cover 4 is an additional $129 ($159 with fingerprint scanner).